Early in his career, as the skyrocket of his stardom was fueling, Jacques Derrida had to answer a question his Jewish mother asked with a frown: "But Jackie, have you really written 'difference' with an 'a'?" Raised "like a bourgeois Parisian girl," tending her Jewish family in Algeria, Georgette Derrida prized their French identity and citizenship. And now here was her son, Jackie, misspelling words of their adopted tongue—his only language but not his own (as he would later put it in Monolingualism of the Other). This wasn't concern over a spelling error; it was a question of (French) identity. This little vignette, noted very late in Benoît Peeters' massive biography, captures something at the heart of Derrida's life: the dynamics of difference, of being precariously "other," just close enough to the center to actually realize one is on the margins. 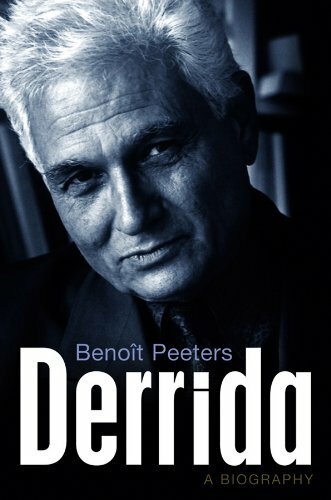 This is the experience of the assimilated Jew in Europe and its colonies; it is the experience of the Algerian intellectual in Paris; and it seems that something like this experience of persistent otherness was the fuel that powered Derrida, deconstruction, and yes, even différance.